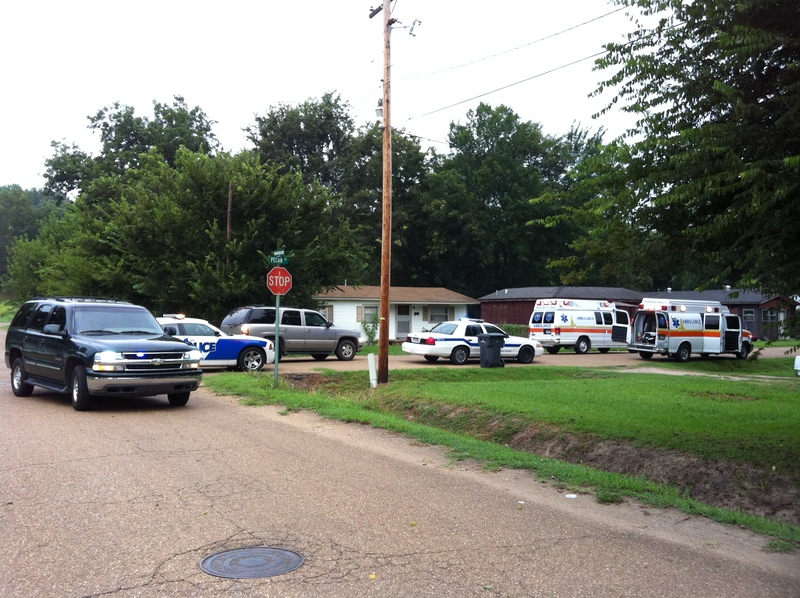 HELENA-WEST HELENA --- Pafford Ambulance Services and the Helena West Helena police department responded to a residence located at 1440 Pecan (North Helena) around 8:00 this morning. At that house they found a man unresponsive and after making the appropriate checks determined that he had passed away. No details were provided, however, from the actions of the officials on the scene, this death appears to have been of "natural causes." Pafford Ambulance personnel went into and came out of the house several times. They took a machine into the house which looked like a small EKG like device. The ambulances, both of them, left the scene. Before they left, there were at least three (3) patrol officers and four (4) investigators on the scene. The ambulances left without the man. About that time, the Coroner's Van arrived and was driven by Deputy Coroner Eugene Handley. He was there to make the official death pronouncement. Soon after, a hearse from Brown's Home For Funerals appeared on the scene to take the remains of Mr. Alexander Henderson away.